You can start 2014 with a bang at partypoker where you have a chance to hone your poker skills and win free money every day for a whole month! Sounds too good to be true? Well, partypoker is generously putting $100 on the line each day from January 15th through February 15th in the PokerNews Daily Freerolls! There are not any major requirements to get involved with these daily freerolls. Just dowload partypoker through PokerNews Canada, make the minimum deposit on or after January 15th and you will automatically be eligible to play your way for free money. If you already have opened an account through PokerNews, rest assured you can also join in on the fun as long as you have previously made at least one deposit into your partypoker account. Our daily freerolls are great for beginners as they will give you a good chance to test your abilities while not risking your own money with a a field that we know will be much smaller than on a typical partypoker freeroll since they are only available to partypoker players that have signed up via PokerNews. There is no reason not to go after free money each and every day until February 15th. These tournaments will run each day at 19:00 GMT and are listed in the partypoker lobby as PokerNews Daily Freerolls. So if you like the sound of free money, hurry up and sign-up to partypoker through PokerNews Canada where every day you have a chance to pad your bankrolls risk-free in the partypoker PokerNews Daily Freerolls. 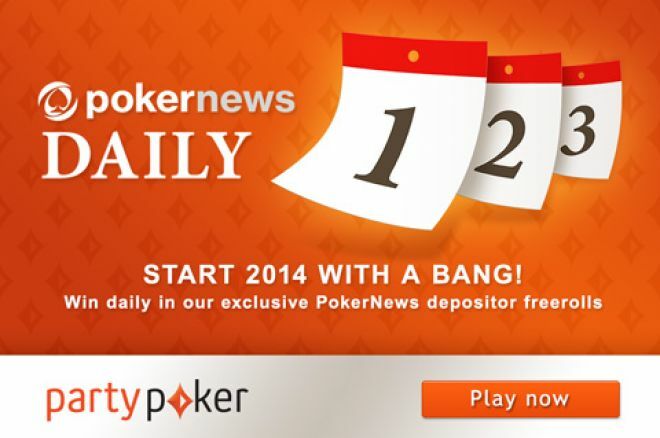 Click here for full terms and conditions of the PokerNews-exclusive partypoker Daily Freerolls.